Lavender are one of the most popular of all hardy, evergreen flowering shrubs and as such have multiple selected cultivars. So well do they perform under garden conditions that many of them have received Award of Merit (AM) and Award of Garden Merit (AGM) accolades from the Royal Horticultural Society. Native to the Mediterranean region, West Asia, India and Northeast Africa, it is a favorite for dwarf hedges, associating well with stonework or rose beds and as a component of blue or grey borders. They have fragrant, ornamental foliage, long lasting blooms and will happily tolerate poor soils and neglect. However poor cultivation can result in woody and untidy specimens, and if planted in an unfavorable position individual plants can fail. 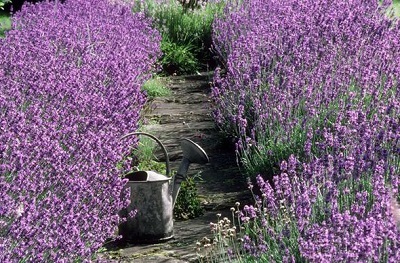 Lavenders are generally best planted between April and May in any well-drained garden soil. However avoid heavy or clay soils and particularly those prone to waterlogging. If suitable soils are all that are available add organic matter and gravel to improve the drainage and plant on a mound. Do not disturb the root system when planting. To maintain compact habit, and strong flowering all lavenders must be planted in a position that receives full sun for as much of the day as possible. In cooler, temperate regions be aware that lavenders can easily become damaged are cold, wet conditions. 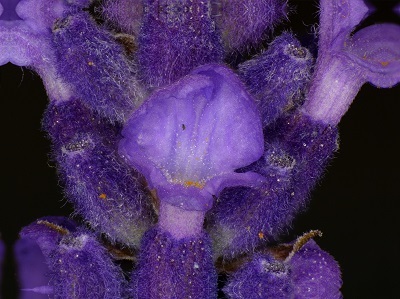 When planting lavender as hedging pants provide a distance of between 9-12 inches apart. In formal, cloud-like hedges can be planted 2-3 ft apart. In poor draining soils, plant on a ridge to keep the base of the plants out of wet soil. Lavenders will need to be pruned every year to keep them compact. Remove spent flower stems in late summer. Maintain compact growth by trim back the foliage from August to September. Straggly specimens can be pruned back hard in late March or April before the new growth starts. This will encourage bushy growth and new shoots from the base. Established lavender hedges can be clipped to shape from March to April also.